Medical practices and other businesses are expanding their sales potential by offering financing options at their point of sale. You can too. 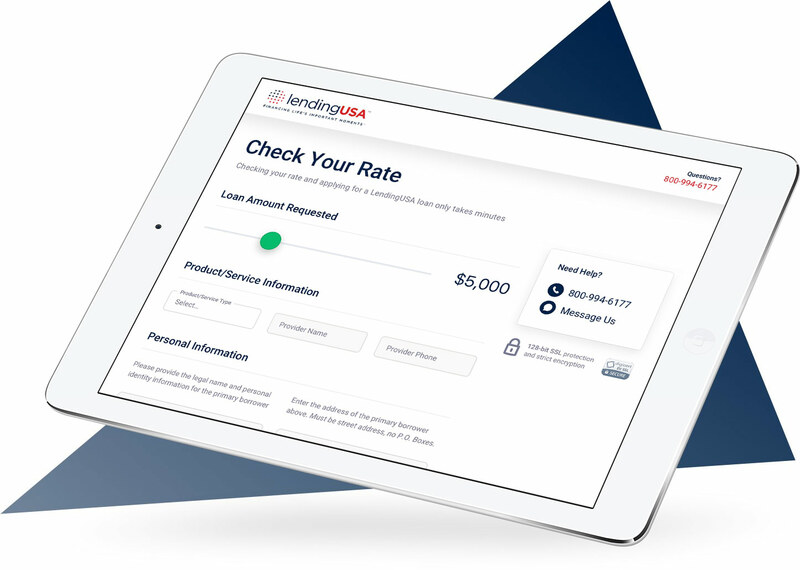 Our proprietary technology has advanced underwriting and fraud detection capabilities that lead to fast pre-approval decisions for your customers, so you can increase volume and close more high-ticket sales. Patients and customers can apply at your place of business, right at the point of sale. It’s a seamless, paperless process that takes just minutes. Pre-approval decisions are made quickly, so you can close the sale on the spot. If more information is required, we’ll contact your customer immediately. You can enroll your business and sign your authorization right online. 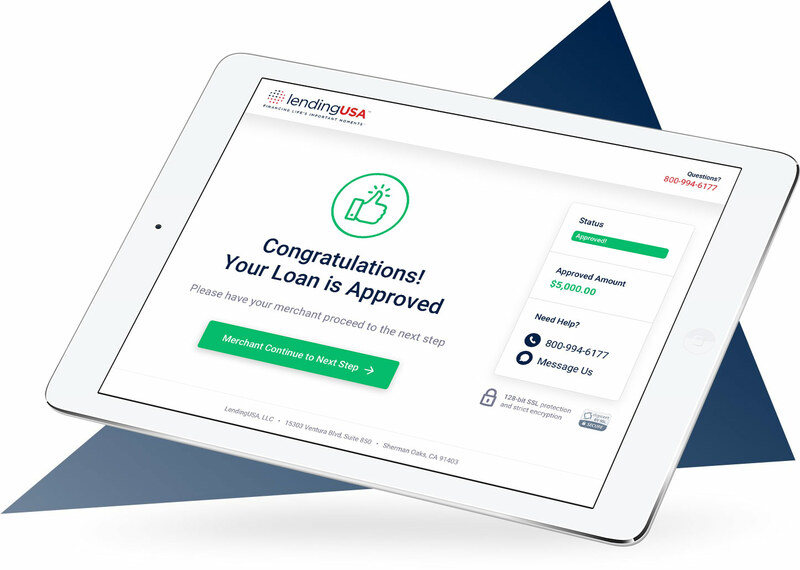 Your customers can sign their approved loans the same way. The entire process is safe and secure. In many of the markets we serve, we make than other lenders. We even approve FICO scores as low as 620. That gives your customers more opportunities to say “yes” to the products and services they really want. We’ve innovated the industry with our ZIPLOAN®. It offers a 0% interest rate if paid in full within six months, and has no interest rate or prepayment penalties. It’s a hassle-free solution that makes for worry-free borrowers. We direct-deposit payments to you through the Automated Clearing House electronic network. All within days. It’s the fastest way for you to get paid – and the easiest way to avoid billing and collection hassles. Ready to start helping customers finance life’s important moments? Yes, I’d like to learn more. This sounds right for my business.